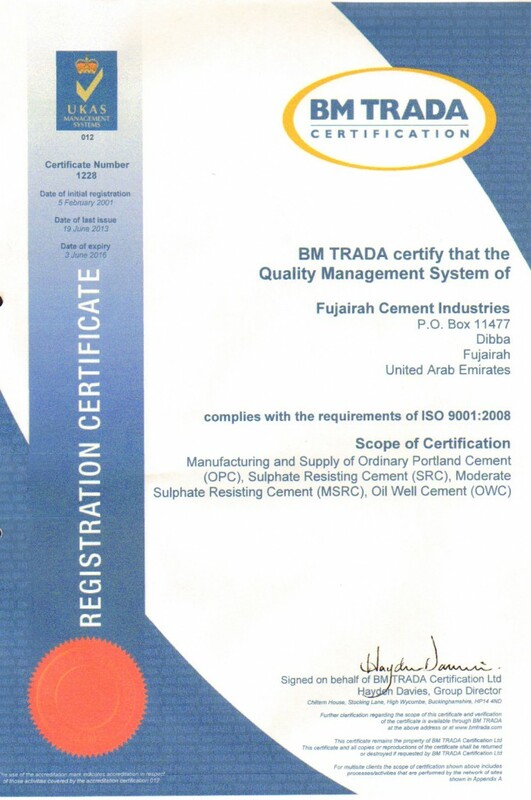 Fujairah Cement Industries guarantees value for money, quality, cost and time for its cement products and services. It shall continually strive to conform to Customers, Regulatory and International Standards including ISO 9001:2008 Quality Management System Requirements. 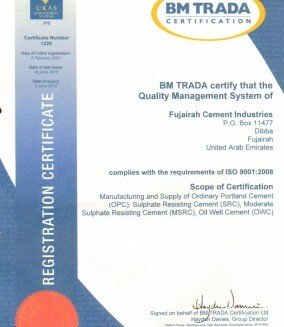 Developing, communicating to employees to understand, implement, maintain and improve the Quality Management System. Establishing the quality objectives and reviewing annually for its continuing suitability. Integrating customer needs and feedback in the business processes.